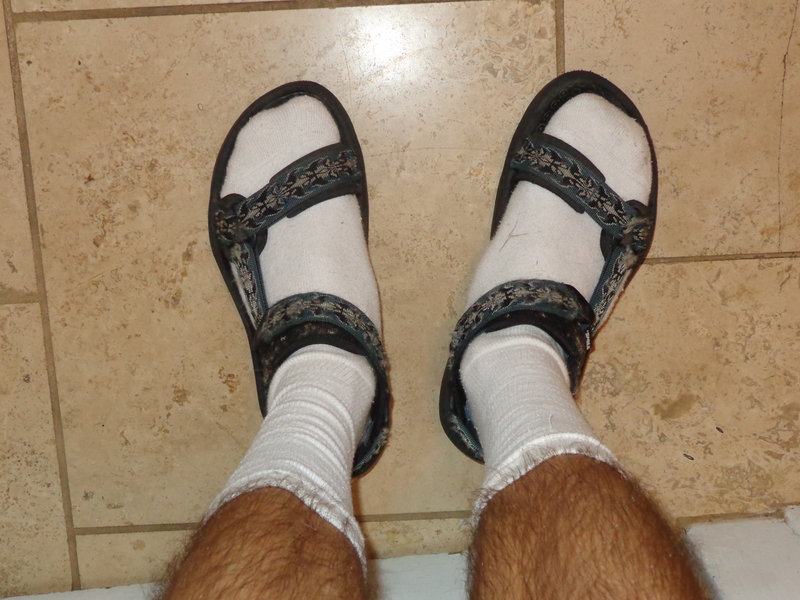 One of the best decisions I have ever made in my life was showing up to school one day wearing socks with sandals. In high school, I made a lot of female friends who wore diverse styles. 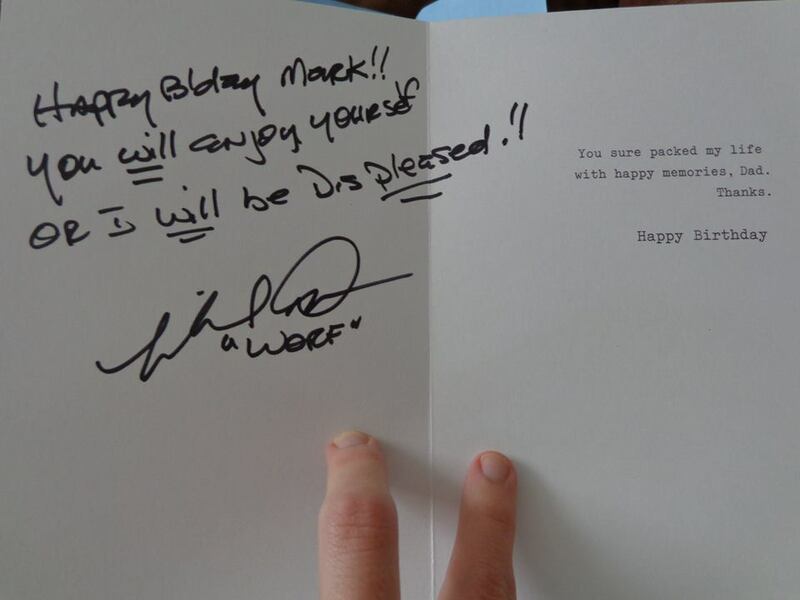 I envied them. Their fashion looked amazing while I was just a guy wearing jean shorts and a bright pink t-shirt that said “the Eager Beaver Restaurant, Eldon, MO” with a beaver wearing a chef’s hat on it. Clearly, I needed to rethink my fashion statement. Unfortunately, society has…a way of not encouraging men to embrace fashion as opposed to its open involvement towards women. It’s hard to dress fabulously without be labeled derogatory terms, especially in high school. Skirts are probably the best example of this for me as I liked their style but I was afraid of how I would be judged by the people I know if I started wearing them. Clearly another route had to be taken to improve my fashion statement. Socks are one of the best inventions in history, second only to the Gamecube Controller. They warm and protect your feet and they just feel so good all around. In the Harry Potter series, the sock is even symbolized for familial ties and freedom (for more about that see http://www.hp-lexicon.org/essays/socks.html). Clearly, socks are just one of the goodiest of all clothing apparel. My friends knew this and acquired a vast array of colorful socks that ranged from stripes to spots to plaid to intricate designs. They paired them up with their skirts, shirts, bangles, necklaces, earrings, and so forth. I wanted to do that but with my own style. After several months, I had accumulated my own sock collection but I ran into a problem. If the purpose of the colorful pair of socks were to flaunt them, then covering them up by tennis shoes would not be adequate. Enter the sandal; once I made the connection between the two I couldn’t be stopped. Socks could be displayed to their full potential. Now, I can mix and match by shorts, socks, and shirts with each other to create colorful combinations. 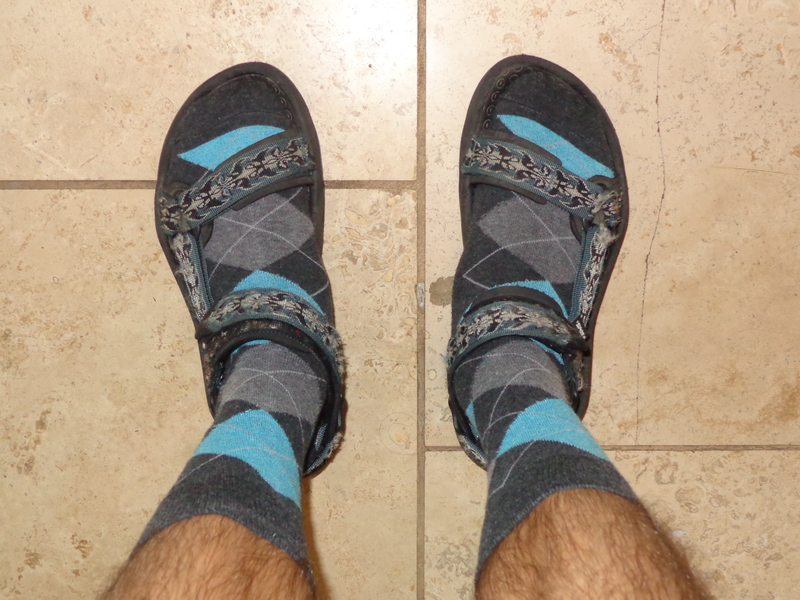 Through this combination I realized that socks and sandals (s&s) not only looked good but felt good as well. It’s the perfect combination to wear when it’s about 60 degrees to around room temperature. S&s seems to have the benefits of both shoes and sandals by keeping your feet warm while still leaving your toes room to breathe. As such, my original excuse to wear s&s slowly disintegrated like salt in a vat of hot water as I wore more and more white socks with sandals. True, my increased wearing of s&s stemmed partially from laziness but damnet, those six seconds I could have spent tying my shoelaces are six extra seconds I have doing nothing else! But I’m veering from my off topic here. Why do people not dig s&s? In all honesty, I don’t quite understand it myself. It’s interesting that such a minor thing can set people off in unusual ways. Not outright hate mind you but more repulsion than anything else. It’s probably this mentality of shoes goes with socks and sandals go with bare feet and NONE THE TWO SHALL EVER MEET. It boggles their mind! Why is this guy wearing s&s? Slowly, their minds become distorted. Their eyes wobble within their very sockets. Their palms become sweaty with fear and terror. Their voice cracks as they try their best to hold back a scream. What’s going on? Why am I here? They shift their hand through their greasy hair and pull a clump of it out. Why? Why is he wearing s&s? Does he know nothing? Has he ascended into some higher form of existence? Their mouth is dry. Oh god, help me, help me now. I can’t see, I’m going blind. A shrill voice is speaking softly in their ear. They can now no longer hear. They feel it, they feel it now. That crushing sense of pain and death upon them. Why? Why is this happening? They sink to their knees and weep. Weep for forgiveness, weep for those who have judged them, weep for those they love. Please, I don’t want to die, I don’t want to die. Everything. It’s growing dark. It’s growing dark. All sense of reality is fading, fading fast. Please, I can no longer take it. I can no longer take it. 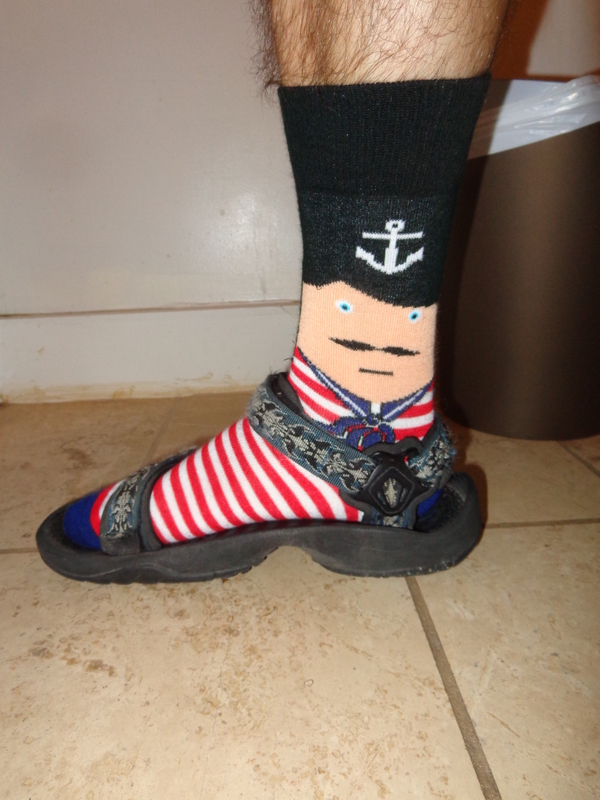 This entry was posted in Uncategorized and tagged Fashion, gift from God, Sandals, Shoes, Socks, Socks and Sandals, Socks and Sandals are the best, tacky on September 29, 2014 by Andy. I was exposed to Battlebots when I was 10 or 11 years old, the best age possible. Despite it being shown during early Saturday mornings, I tried to watch it as many times as I possibly could and even set up the VCR to record it at the proper times. Battlebots was a short but huge fad. They had board games, toys, McDonald Happy Meal toys, and even an extensive guide to Battlebots. I remember owning all of these things. The toys were especially fun as they used the spin bots, like Ziggo, as super fast battling tops similar to Beyblade. I had a lot of fun with those. My dad even gave me for Christmas one year a remote controlled Dissector and Biohazard which could battle each other. They were decent size as well, both going over a foot long by almost a foot wide. Now, going back to all of that a decade later, has it held up well? 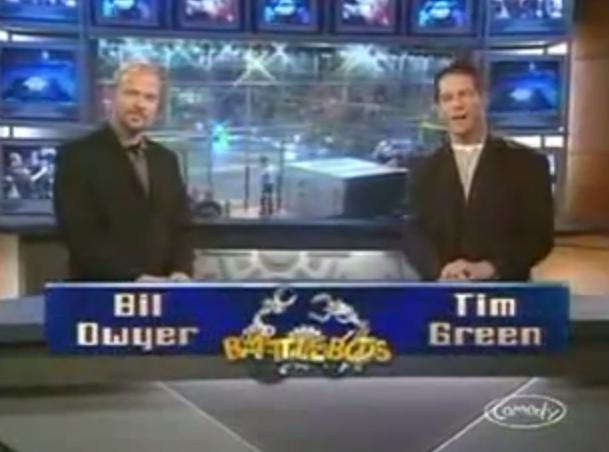 Okay, my biggest complaints have to be the cohosts who were Bil Dwyer and Sean Salisbury (who was later replaced by Tim Green). For being on the Comedy Central channel, these guys were just not funny; they were more annoying than funny in fact. I can get over their intros to the battles and such, but do they have to comment all the damn time during the battles? Shut up, I just want to watch the robots kicking each other’s asses! Unlike football or basketball where the announcer is useful for the spectator, the cohosts just state the obvious and really have no part in it other than to liven up the action. The show also suffers from lack of battles, each 30 min long episode has only three battles per episode which can only last 3 minutes at max. The rest of the time is spent hyping of the robots or interviewing the builders or just killing time. I wish we got to see more of the fights and be able to appreciate the tournament similar to the NCAA Tournament. Just imagine watching all those fights and being able to truly appreciate the winners as they fight a long and hard battle to the Silver Nut. Okay, I may have been a little harsh there. 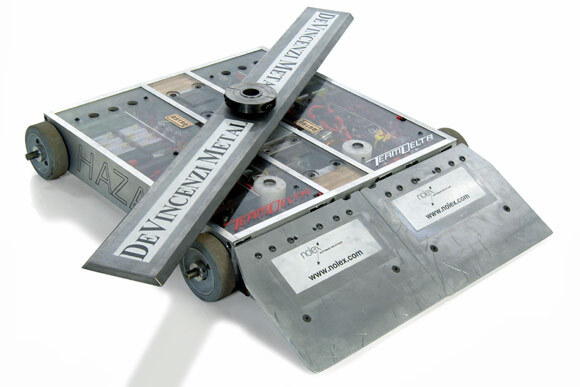 There are some great examples of battlebots who have won it all that were neither push nor wedge bots. Son of Whyachi, Hazard, Ziggo, Backlash, Toro; these bots and more are excellently designed and pull off their weapon of choice very well. However, most of them were quite expensive meaning the average person probably wouldn’t be able to afford such a strong robot. But even so I can also see why Comedy Central decided to not show all of the battles, especially the early round battles. Faulty or plain-looking robots cannot generate the excitement (aka the views) needed compared to the more interesting ones. There’s nothing much else to say about the show except for the weird guest appearances with Bill Nye and Carmen Electra. At the time, I thought it was awesome that Bill was on the show, now, I just feel sorry for him, why did Battlebots need him?? At least he was better than Carmen. God, even as a kid I couldn’t stand her. She contributed nothing to the show. Still, I think it would be cool if Battlebots came back in full force nowadays. The advances in technology means we can have better robots that won’t break down as easily and can be more varied in design. With so many new and young people going into engineering nowadays, the potential for the next Hazard or Ziggo can be easily achieved. I can also imagine the show on HBO but without all of the annoying hosts and with all of the battles viewable. If they clean it up, it can be great. -Wasn’t it awesome when Nightmare destroyed Slam Job in one hit?!? He went flying! -Isn’t Hazard amazing?? He can destroy any opponent that faces him; Middleweight bots just shudder in fear thinking about him! -And when then rookie-bot Son of Whyachi in Season 3 mauled all of his opponents to pieces including Nightmare and Biohazard?? Look me dead in the eye and tell me you don’t think that season was awesome! -And when Ziggo showed that lightweight robots weren’t wimps by annihilating any robot that gets in his way?? Man, I love that robot! This entry was posted in Uncategorized and tagged Battlebots, Bill Nye, Comedy Central, Hazard, Nightmare, Nostalgia, TV, Ziggo on July 7, 2014 by Andy. Long before I knew about Game of Thrones, there was another fantasy series that I was heavily invested in during the course of its publications. 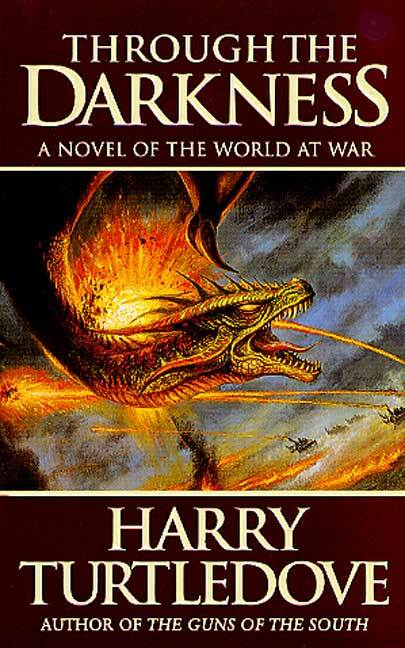 It was known as the Darkness Series, written by Harry Turtledove (also known as “the Master of Alternate History”). 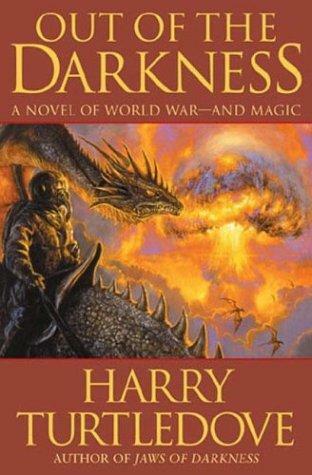 The Darkness Series is, in a sense, very similar to the Song of Ice and Fire series. Mainly, many viewpoint characters that are from different nations whose individual stories weave a larger, more epic story. These characters are from a fantastical world in the grip of war and who, even if they are a viewpoint character, can still die. There is also another similarity the two have. If A Song of Ice and Fire is inspired by the War of Roses, then the Darkness Series is not only inspired by, but directly paralleled with, the events of World War 2. Each country in the Darkness Series, which takes place in the fiction continent of Derlavai, is usually based on one (sometimes a few) country(s) in our world. For instance, Algarve represents Nazi Germany while Unkerlant represents Soviet Russia. The similarities don’t stop there as these fictional nations have the same languages, city names, customs, and so forth as our world does. These similarities though are highly jumbled. The Algarvian people speak Italian, have red hair, and wear kilts. Unkerlantians, meanwhile, speak German, wear tunics, and have a darker complexion. For those of you who are curious, the Jews are a race of people called Kaunians who are fair skinned, tall, have blonde hair, and speak a Slavic-like language. But here, the similarities to our world end. Great rhinos are tanks, dragons are airplanes, fierce leviathans are submarines, rifles and pistols are wands that shoot energy beams, and magical crystals serve as communicating devices similar to our radios and telephones. Also, like Game of Thrones, the world’s countries are mainly monarchial. 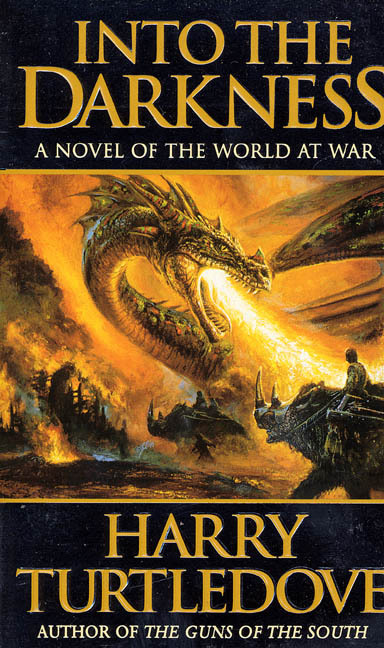 These fantastical elements are amazing and give a great twist to a world at war. I never had such joy in reading and appreciating a series such as this before. Figuring out what historical events are happening and guessing how the characters will survive was a real treat. And though we know that dear Algarve will eventually lose the war, what we don’t know is if our characters will survive the war or not. Some of my favorite characters did eventually past away and that was a great shame. Turtledove has a greater appreciation for characters than George R.R. Martin does. Though characters may die, their deaths do not seem premature or forced. We have grown to love and respect the viewpoint character as Turtledove takes time to flesh them out. We are also not bogged down with tons of characters who may show up for a few chapters and then go away without any further notice on what exactly happened to them. 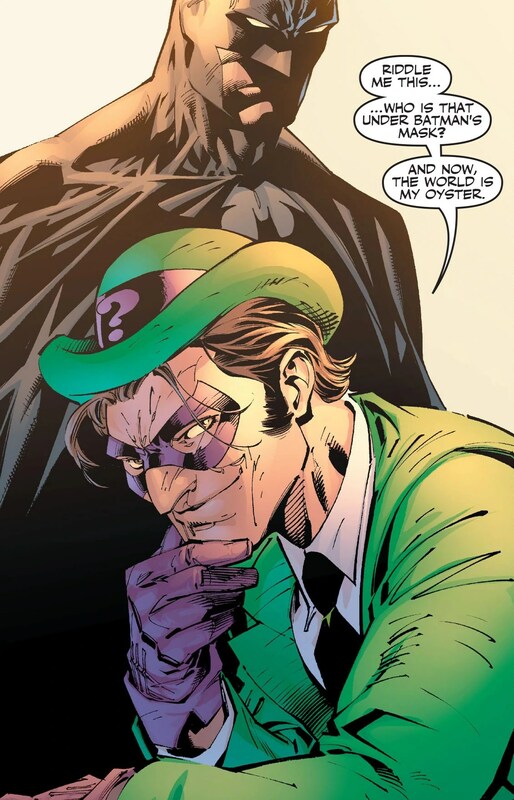 Some of the best moments in the book are when viewpoint characters meet each other for a brief moment. They may fight each other in the battlefield, walk by one another in a busy town, or develop an actual relationship of some kind with the other viewpoint character. I even developed an intricate diagram years ago dedicated to how all of the characters were connected to each other and it was amazing (too bad I can’t find it now). Well before I knew about Game of Thrones, I imagined what it would be like for this series to hit the small screen. At the time, I thought it would never happen but now with Game of Thrones being quite popular nowadays, that idea isn’t too far off. 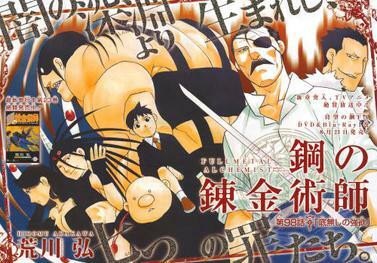 However, because of their similar concepts, people might think it was just a shameless rip-off which is too bad. Regardless, seeing the Darkness Series in live action would be amazing. In short, if you are fan of Game of Thrones, epic fantasies, or World War 2, this is a great series of novels that is fun to read. I highly recommend it if you have the time. 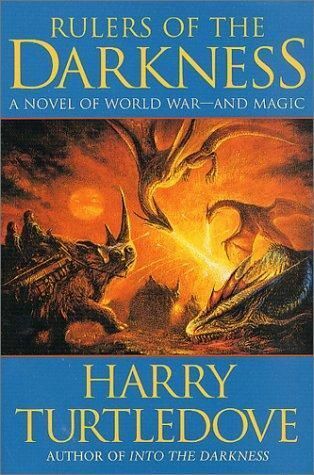 This entry was posted in Uncategorized and tagged Darkness Series, fantasy, Game of Thrones, Harry Turtledove, World War 2 on April 14, 2014 by Andy.